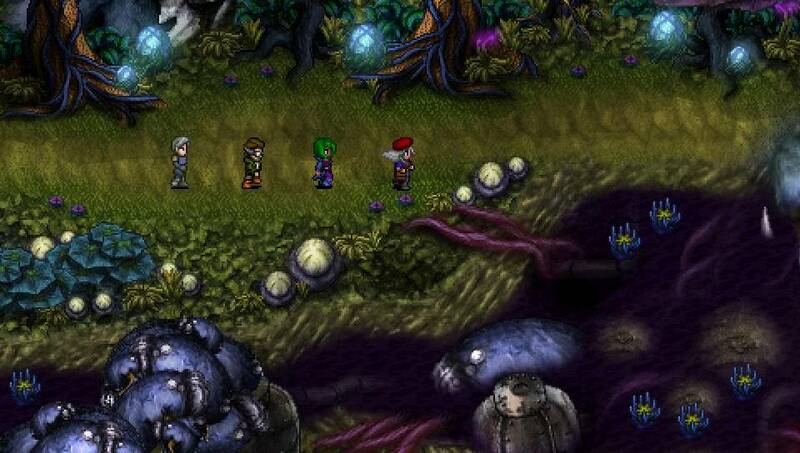 Cosmic Star Heroine is from Zeboyd Games, the creators of Breath of Death VII and Cthulhu Saves the World, and is inspired by games such as Chrono Trigger, Phantasy Star and Suikoden. With the release of the Limited Run of Cosmic Star Heroine, I thought it’s a good time to finally publish my review for it. 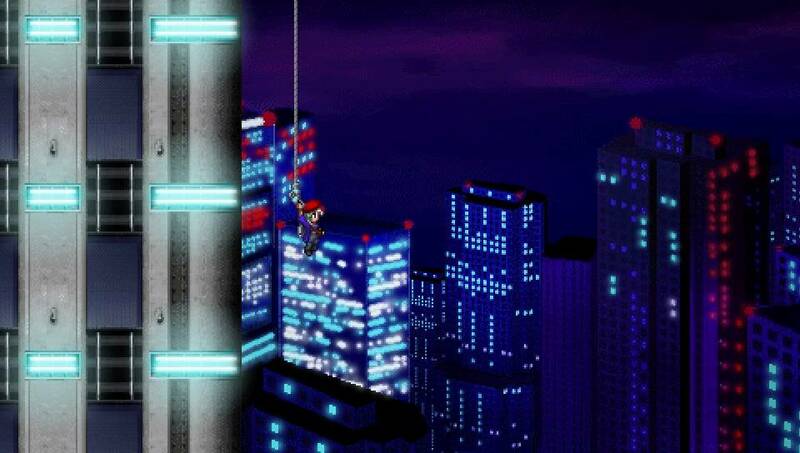 Cosmic Star Heroine tells the story of the secret agent Alyssa L’Salle, one of the top agents on the planet Araenu. When she uncovers a dark conspiracy, her government outs her as a spy that many foes and villains are after her now. On her escape, she is trying to find the origin of the conspiracy and to save the galaxy from its threat. Alyssa will meet various characters who join her on her adventure, but also exotic life-forms and robots who are trying to stop her. The story is being told by interacting with characters and also with the help of animated cutscenes in the style of early CD-ROM console games. Overall, I enjoyed the story that unfolds on three different planets within the Zevanii System. What I really loved is the interaction with other characters. You can talk to nearly every character you meet and some of them give you important hints. This gives the game a unique and personal touch. When you begin the game, you can select between four difficulty levels: Tourist (easy), Agent (normal), Heroine (hard), and Super-Spy (very hard). For the first playthrough it’s recommended to play as an Agent but if you want it a bit more challenging, you can start with Heroine. If you mainly want to concentrate on the story or are unfamiliar with RPGs, choose easy. You can always change the difficulty later if it should be too difficult or too easy for you. 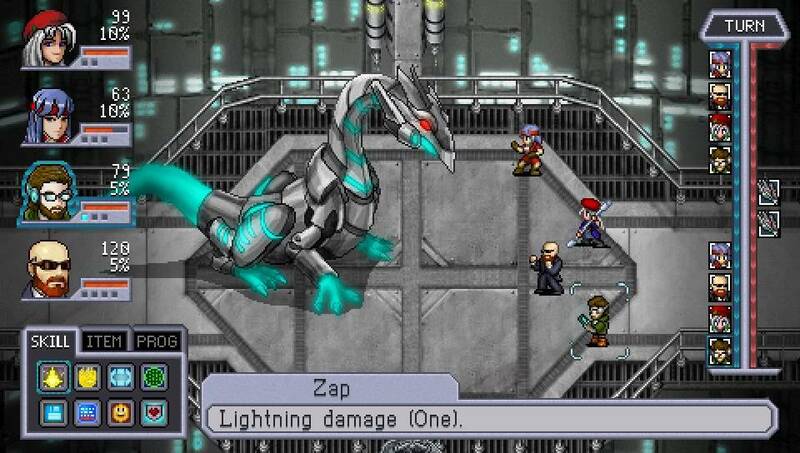 Cosmic Star Heroine is a science fiction classic style RPG set in the fictional Zevanii Star System. While you explore the planets, you talk to other characters to progress with the story or to get useful hints and information. As sometimes you have to solve little puzzles, these conversations come quite handy. When you hit an encounter, the game changes to combat mode, with battles taking place directly where you are. 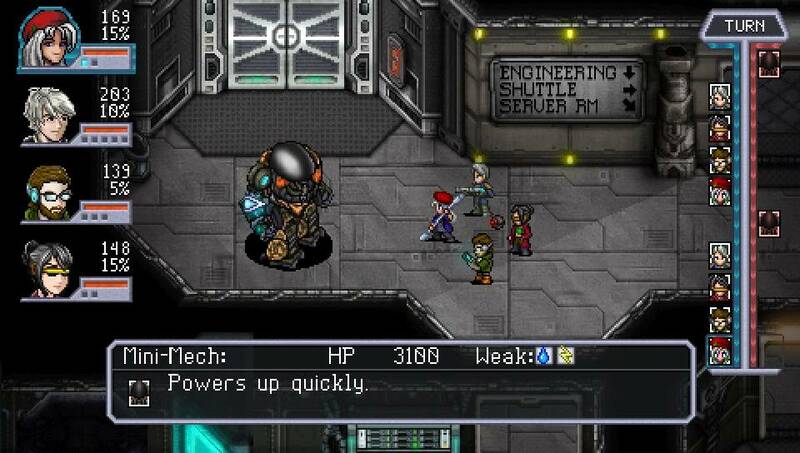 Cosmic Star Heroine comes with an innovative turn-based battle system where your characters can use equipped abilities, items and programs. Each character can equip a maximum of 8 abilities, most of them can only be used once and need to be recharged with a Defend/Recharge move. By using different abilities, your style will increase which means more damage to enemies. Each turn, characters gain a hyper point and when their hyper meter is full, they enter hyper mode which gives them a huge boost. 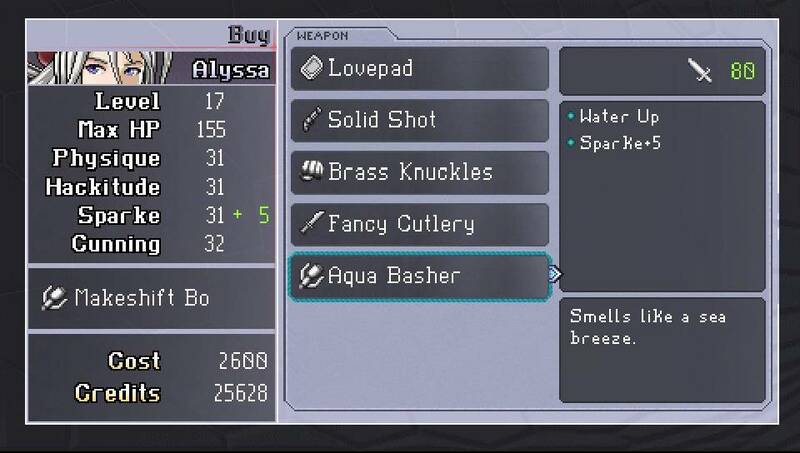 Items can only be used once in a battle by one of the characters and could be seen as the last savior in difficult situations. Programs vary with each character and can also be used only once during a battle. When a character loses all its HP it will be knocked out. But with enough style it will survive for one more turn even with negative HP so healing with the next turn can save it. Overall, the battle system is quite intuitive and very enjoyable to defeat enemies. Each character can equip weapons, shields and accessories to improve damage and defense. New and better equipment can be aquired in shops with credits earned from battles or found in treasure boxes on the planet. Characters gain XP during battles that will increase their level stats. When leveling up, all character stats such as Max HP, Physique, Hackitude and Cunning will increase and new abilities will also be unlocked. Those need to be equipped in the character menu that they become available during combat. Each character has a different dominant element, for example Alyssa is strong with water. This is important in battles as enemies have weak elements and dealing damage with that element will be the key to success, especially in boss battles. As you play through the game, more characters will join your party and choosing the right combination can determine victory or defeat. In some situations, party members are locked until the story has progressed to a certain point. The gameplay is linear which means there are no random battles. When you defeat enemies, these will not respawn when you visit an area later again. Boss battle are one of the highlights of the game as they require some special strategy. Should you die in a battle, you can always retry again. But even though it’s recommended to save often as sometimes you have to change party members or abilities to be successful. The good thing is that you can save whenever or wherever you are (not in battles), but the downside is that the game has only 5 save files which I found too less. Alongside, there are a few other flaws I have to mention. Should your characters die during the boss fight in chapter 11, the retry option does not work properly as the game has a problem with the respawning enemies. As I don’t want to spoil the game I only recommend to save shortly before the boss or else you will get stuck here after a death and you have to restart the game. There is also an error in the cabin of Alyssa at the Headquarter. If you walk too close to the table she gets stuck and can’t move anymore. The only thing that helps is to restart the game. What I was missing was a map of the planets. Although I never felt lost, this would have given me a better overview, especially in the later chapters. But at least there are signs throughout the areas and even area maps in some places which help to orientate. Cosmic Star Heroine has 13 chapters and it took me around 16 – 17 hours to complete the game, but I can’t say for sure as there is an error with the time counter as it was reset after 3 – 4 hours playtime. Loading times are short, only when you continue a previously saved game it takes a few seconds to load. Overall, I really enjoyed the game and despite its little flaws, I was eager to know if Alyssa can save the galaxy. 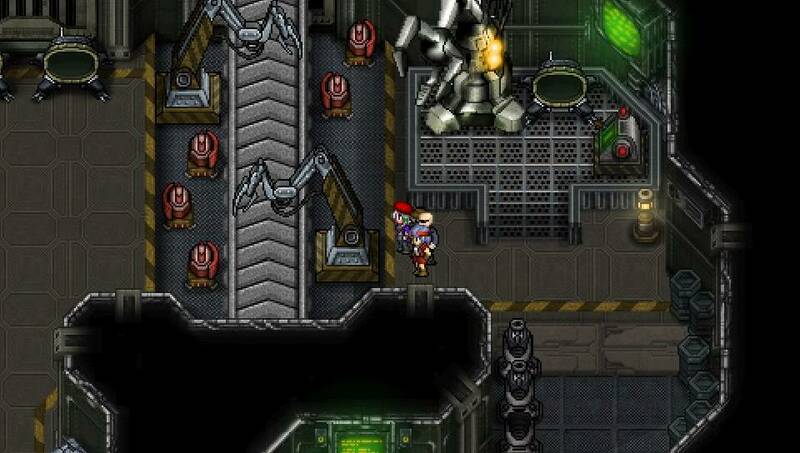 Cosmic Star Heroine comes with beautiful 16-bit retro style graphics and the animated cutscenes give the game a unique touch. Technically, it runs pretty fluid on the PS Vita most of the time, but there is some stuttering in some areas and especially in the headquarter. It also can happen that characters pop into the screen when switching between areas. But nothing of this is disturbing the gameplay experience. The soundtrack of the game is awesome and features 80s/90s rock and pop songs as well as some wild west country songs. The music was composed by HyperDuck SoundWorks who did the soundtrack for Dust: An Elysian Tail and Precipice of Darkness 4. 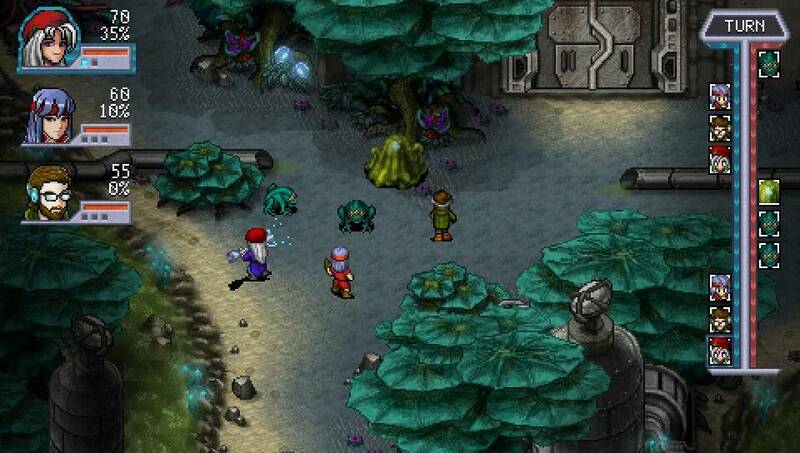 Cosmic Star Heroine is a beautifully created classic style RPG with a good story and a great soundtrack. 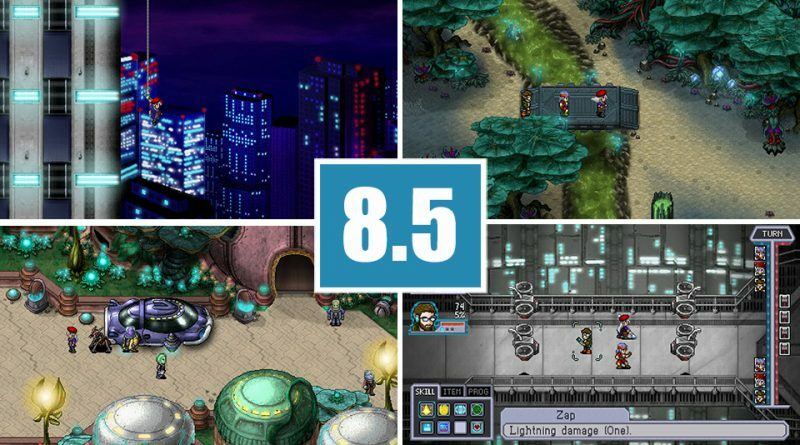 Thanks to its innovative battle system, Cosmic Star Heroine offers an enjoyable gameplay experience and despite its little flaws, it’s recommended to all RPG fans and newcomers alike. The review was written by Michael. All screenshots are from the PS Vita version. The review is based on a review copy which was provided by the publisher.